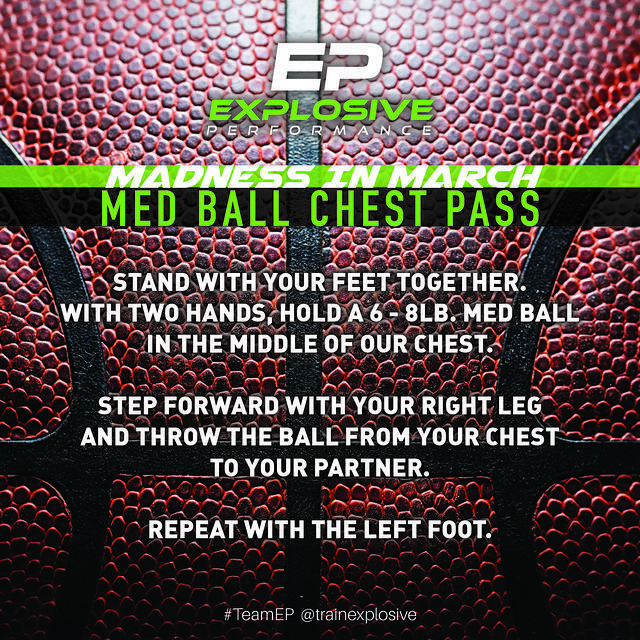 Celebrate the Madness in March with these basketball-inspired drills from our Explosive Performance training team! 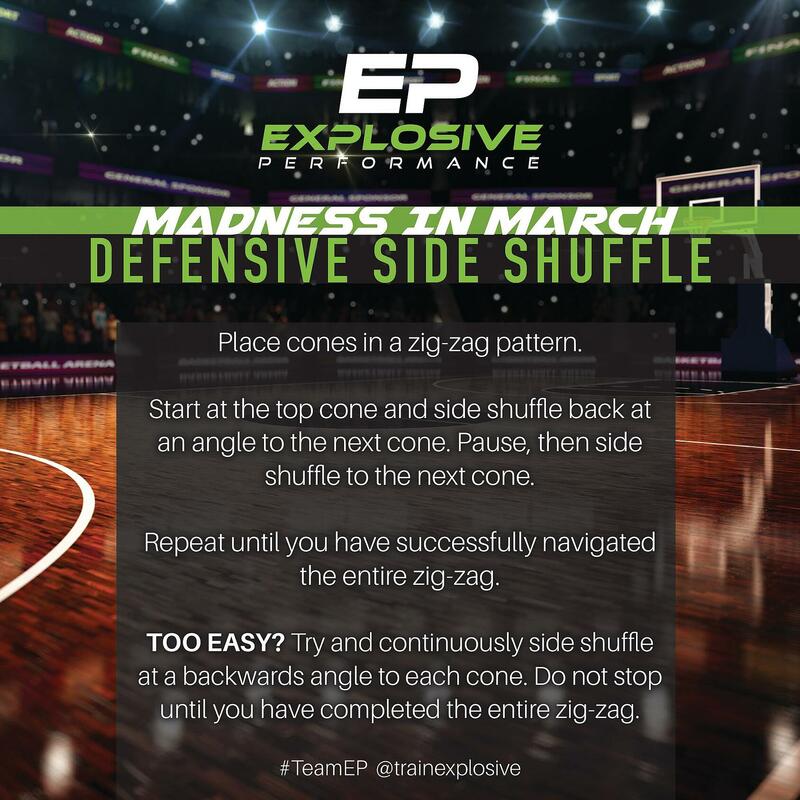 DEFENSIVE SIDE SHUFFLE: Set up cones in a zig zag pattern (or any object, cones just feel more official!) - and shuffle yourself into a great cardio workout! 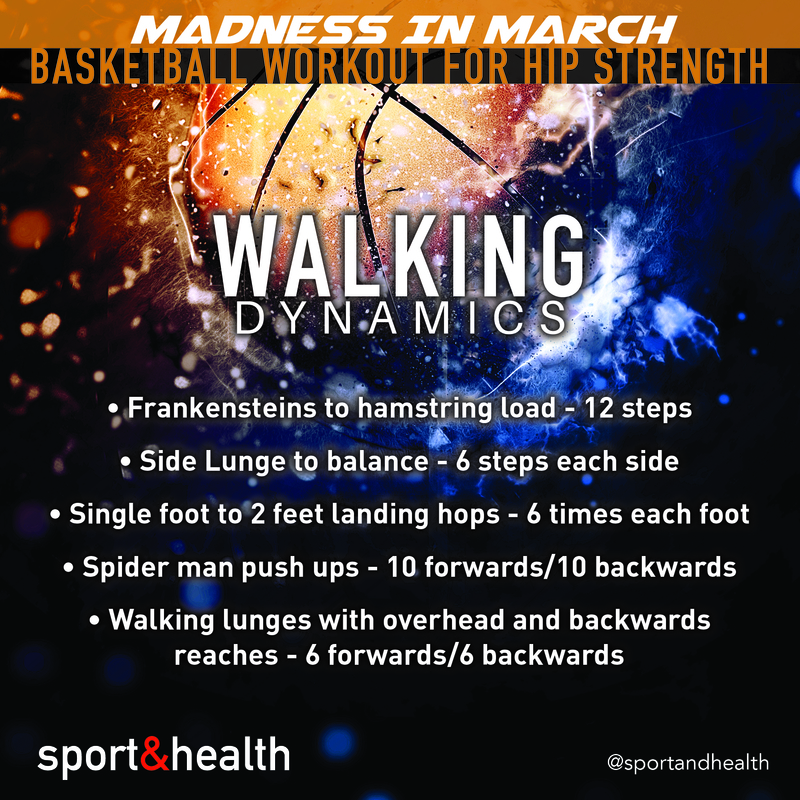 WALKING DYNAMICS: Try this incredible dynamic workout to build hip strength! MEDICINE BALL CHEST PASS: Grab a partner for this awesome cardio and upper body strength workout! 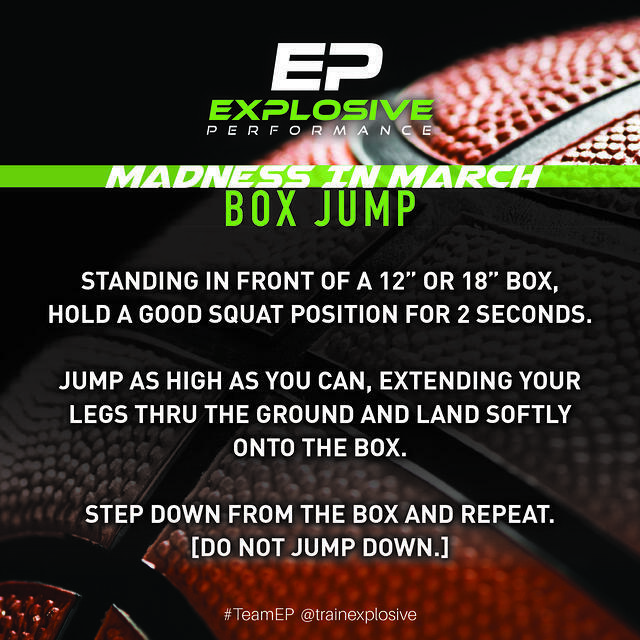 BOX JUMP: Standing in front of a 12" or 18" box, hold a good squat position for 2 seconds. Then jump as high as you can, landing softly on the box. Step down and repeat! Find more workout ideas on our Pinterest page!